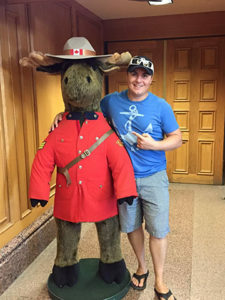 Justin lives in Greenwich, Connecticut with his sixteen year old son—a computer wizard (“The apple rolled a long way from the tree…”). 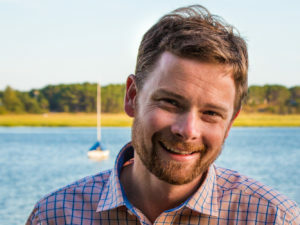 When not sailing or skiing, Justin is managing partner of Lammergeier Research, advisor to the Lammergeier Fund, taking a private equity approach to publicly traded securities. Justin has owned four Vipers, named “Mambo Kings.” He has taken Mambo Kings to the West Coast, the Gulf Coast, Bermuda and Lake Garda in Italy, but can be most often found racing in his local fleet at Noroton Yacht Club on Long Island Sound. He is eagerly making plans to send Mambo Kings to Perth Australia for the 2018 World Championship. Tony Chapman, the Viper Class Treasurer hails from England but has lived in the southwest desert of Phoenix, Arizona, for the last 23 years. Tony is also the treasurer for Arizona YC and the Buccaneer 18 Class Association.Tony said, “I used to be a tournament three event water skier. I took a bareboat sailing class in 1999 to be able to charter boats on vacations and got hooked on sailing. I purchased my first Viper (#71 – the first Rondar customer hull), used in 2008, and currently own hull #146.”Tony’s Vipers have traveled in excess of 25k miles attending regattas. Dave Nickerson has been part of the Executive Committee since the fall of 2010, and also heads up the Technical Committee (with the great team of Tim Carter, Ben Steinberg and Bob Matthews). A veteran of the Laser, Interclub, J/35 and J/22 classes, Dave learned about the details of Vipers the hard way by refurbishing #18—one of the older boats out there. Along with co-owner Moise Solomon, #18 sails out of Noank in southeastern Connecticut, with three other local Vipers. Tim Carter got involved with the Class shortly after Rondar began building the boats. He has sailed all flavors of the Viper, from the tin rig, small bulb boats to the latest wedge keel versions. He has served the Class since 2011, first as a member of the Technical Committee, then elected to Governor in 2014. He is a lifelong resident of Southern California and sails out of Alamitos Bay Yacht Club in Long Beach. 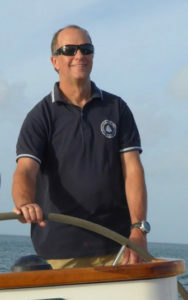 Prior to his involvement in the Viper Class, Tim brings40-year background of racing various keel boats, catamarans and dinghy’s. He truly loves the simplicity of the Viper and wants to maintain a level playing field on the race course along with supporting a strong, fun and social atmosphere off the water. 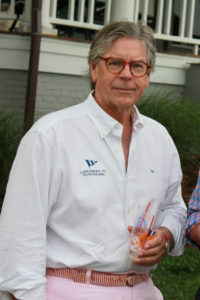 Ed “Buttons: Padin grew up sailing on western Long Island Sound starting in dinghies, Lightnings, and 110s as a junior. After his stint in the Navy he starting sailing keel boats gravitating to Solings in the mid-70s and then Etchells for the next 15 years. Along the way he also sailed big boats ranging from 36 to 83 feet. 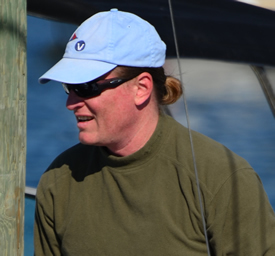 An active Team Racer, Buttons chaired two US Team Racing Championships (Hinman) and has been an active member of the Larchmont Yacht Club’s TR team for many years. He was also instrumental in bringing to western LIS its first adaptive regatta, the Robie Pierce Regatta for sailors with disabilities. It was through the Robie that Buttons met Viper Governor Kay VanValkenburgh who was serving as a blind sailor’s sighted guide. Together with American Yacht Club, Buttons and his LYC team will run the ninth Robie this summer. He started sailing Vipers when they arrived at Larchmont Yacht Club seven years ago and has been an active crew in them ever since. Coming from an advertising, media, and consulting background, he was the logical candidate when the Class identified the need for a Class Administrator. In the two years since he assumed this role he has managed the Snake Bytes newsletter, been involved with the World Sailing application/approval process, managed the Class database, helped event managers effectively run numerous Viper regattas, helped manage the EFG relationship, designed and produced the Class’s Sailing World and Scuttlebutt ads, and had a lot of fun along the way. Steve Chapman is the President of the North American Viper 640 Class. Steve races his Viper #211 out of Britannia Yacht Club in Ottawa, Canada, and makes his home on Lac Bernard in the Gatineau Hills of western Quebec. Steve started as a junior in Montreal sailing a variety of dinghies and moved on to keel boats. 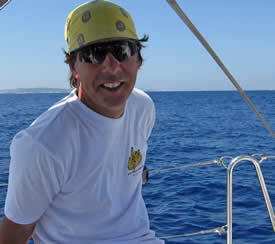 Whileworking in Africa for 25 years, he took up cat sailing in Hobie 16 and F18s. His time in Africa inspired the name of his Viper, “Oshunmare,” after a West African rainbow serpent. From experience, Steve is a strong believer that getting involved in a class is important to its success and sailing in general. 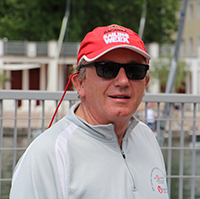 That led to serving as a flag officer of Lagos Yacht Club in Nigeria and, more recently, to running a classic 12 Metre racing campaign in Europe and now volunteering for the Viper 640 Class. After searching for a class of sailboat with the right mix of exciting competitive sailing, interesting regattas, and great social scene,Steve bought #87in 2013. Campaigning actively in the Ottawa and Great Lakes region, he did his first road trip in 2014 to campaign in Miami, Charleston and Annapolis to keep the ice off his Viper! Now sailing #211, he has campaigned the last 3 winters in Sarasota, Florida and made long trips to Long Beach, Larchmont, and Bermuda to participate in the North Americans. Steve said “I love the big events, the people make this class very special, the boats make it exciting!” Now he’s planning to get to Perth for a taste of Australian hospitality and the Doctor’s wind. John Leyland is the Viper 640 Class North American Secretary. Originally from Windsor, Ontario, he started sailing in his late 20s on various boats and has owned a couple of 25-26 foot keel boats before buying his Viper. He has lived on the west coast since 1990; North Vancouver is now his home. John owns Viper #191 which he purchased in late 2012 and sails out of West Vancouver Yacht Club sailing in Howe Sound and English Bay. 191 makes its way down the 1-5 to race with the other Vipers in the Pacific Northwest and Southern California.The Viper checked all the boxes for John; a fun/fast one design sportboat, 3-4 crew, legs-in hiking, easy to tow, a supportive class and GREAT people. 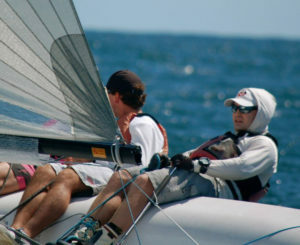 To support his sailing habit, John is a Project Management consultant. Fletcher Boland joined the Executive Committee in October 2014 and has been sailing his Viper out of Marblehead, MA for years. With his own web design studio, Fletcher’s primary role in the EC will be to oversee all things digital including the Viper640.org website. Peter sails Viper 269 “Great Scott!” out of Larchmont YC (New York), and began his Viper ownership in 2011 with Viper 161 “Vicious Panda,” followed by and Viper 222 “Ghost Panda.” Peter was Class President of the Viper 640 Class Association from 2013-2014, and was the event chair of the 2015 North Americans at Larchmont, which was the largest regatta in class history to that point. 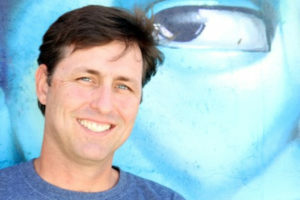 He is also the author of the March 2010 “Sailing World” article “Don’t Call It a Comeback,” written after crewing for Justin Scott at the 2009 Stamford North Americans. Peter appreciates the chance to race Vipers with his wife Rachel and his friends, and loves the Viper’s light air performance in all conditions, and adrenaline rush in big breeze. He has also been known to have spirited kite graphics. Prior to racing Vipers, Peter raced Vanguard 15, Interclub dinghies, 505s, Shields, J/105s, and a variety of PHRF, IMS and IRC boats. To further confuse everyone, Peter plans to dabble in foiling boats and Sunfish going forward.When he’s not sailing, Peter is a corporate lawyer in Manhattan representing lenders and borrowers in finance transactions. 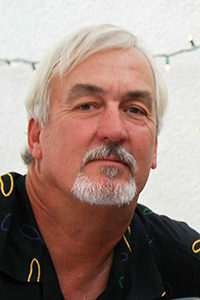 Bob Matthews is the latest addition to the Viper Technical Committee. Sailing #162, Basilisk, out of Larchmont Yacht Club where he is a member, Bob comes to the Viper from J/24s, which he and his wife Frankie campaigned up and down the East Coast, from Key West to Canada.Bob brings to the Technical Committee an engineering background, and an acute appreciation of the importance of preserving the principles of the Class—which make the Viper an attractive one-design sport boat: fast, fun, and easy to sail, affordable, and governed by class rules, that along with a good relation with the builder, insure that when on the course all are sailing equally competitive boats. Bob kicked off his 2013 Viper season at Bacardi Miami Sailing Week with Peter Bauer on Wild Hogs.He and Frankie plan to do a number of major regattas on the Basilisk this year, including Charleston Race Week, the New England Championships, the Atlantic Coast Championships, and HPDO.When not sailing Vipers, Bob and Frankie frostbite Interclub dinghies at Larchmont, and when climate change (occasionally) permits, he races a DN locally. Travis grew up moving all around the U.S. and overseas with his family and, after one stint in the panhandle in Florida, he got hooked on racing catamarans. Going to university at Kings Point transitioned him into dinghies then he made a brief showing back in cats for the 96’ Olympic Trials in Tornados. Running and managing large sailing vessels (50-112ft) conducting globally-based teen-aged and university-aged training and education programs is what Travis has done for his whole adult life. He took a break from racing boats until his kids reached the age they needed to start sailing, and he started collecting boats for family sailing and racing. He currently has a classic Hobie 14, a highly modernized Stiletto 27, and is on his second Viper, which he owns in partnership with Mike Meighan. The Sarasota Sailing Squadron is his home club and between traveling with the Viper and hosting the three event Sarasota Winter Series, he gets almost enough time enjoying the great people that make up the Viper Class. Travis is looking forward to more diverse travel/venues and great sailing in the a great boat/class with his second Viper and fourth year in the class. Darren grew up sailing on the Great Lakes starting when he was 12, mainly in small one design boats (Lasers, Laser 2’s, FJ’s). He graduated to keel boats with a Beneteau 36.7 program, moved to Ottawa and sailed U20’s. Harvey Barnes took Darren out on his first Viper sail in 2009 and he knew right away he wanted one. Darren’s current club is on a small dammed-up lake in London, Ontario where he sail Lasers on Wednesdays. He bought his first Viper in 2012 (#29) and his second in 2016 (#194). He wanted a boat that he could trailer sail (ramp or hoist launch), that was one-design, with a large enough fleet, that was inexpensive, and had a friendly fleet. The Viper ticked all those boxes.